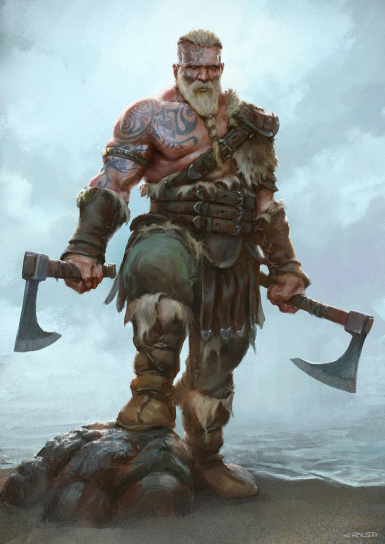 Nords and Orcs have a NEW Berserker Daily Power that is similar to the D&D 'Berserk' concept. Also adds my 'Dragonborn Empowered Shout' mod. Additional perks/values are fixed/tweaked as well. Steel Armors have been rebalanced to better compete with Iron Armors (which I've done in an earlier version). I made a Berserker mod a while back, and people were very interested in how I implemented the Berserk Daily Power. The same people tended to also be interested in my Dragonborn Empowered Shout concept. ...the problem was that I had a ton of penalties/gimps that people did NOT want to endure! Well, this mod basically removes the penalties that the original included. Keep in mind that this mod's NPCs can use many of the same perks as the player (especially bandit types) = NPCs can more formidable than in vanilla. Beware! Finally, this mod works fine on its own....but is intended to be used with 'realism' enhanced difficulty type mods...such as Vigor, Skyrim Unleveled, Potion Animation, Scarcity, iNeed, and so on! 2) Dragonborn Empowered Shout...this only works for Nords. Basically, every Dragon Soul you absorb (without using up to unlock words) gives a 1% shout cooldown bonus. So IF you had 100 Dragon Souls available = you would have a 0% Shout Cooldown. This gives actual meaning to 'absorbing a dragons soul and stealing it's power'!